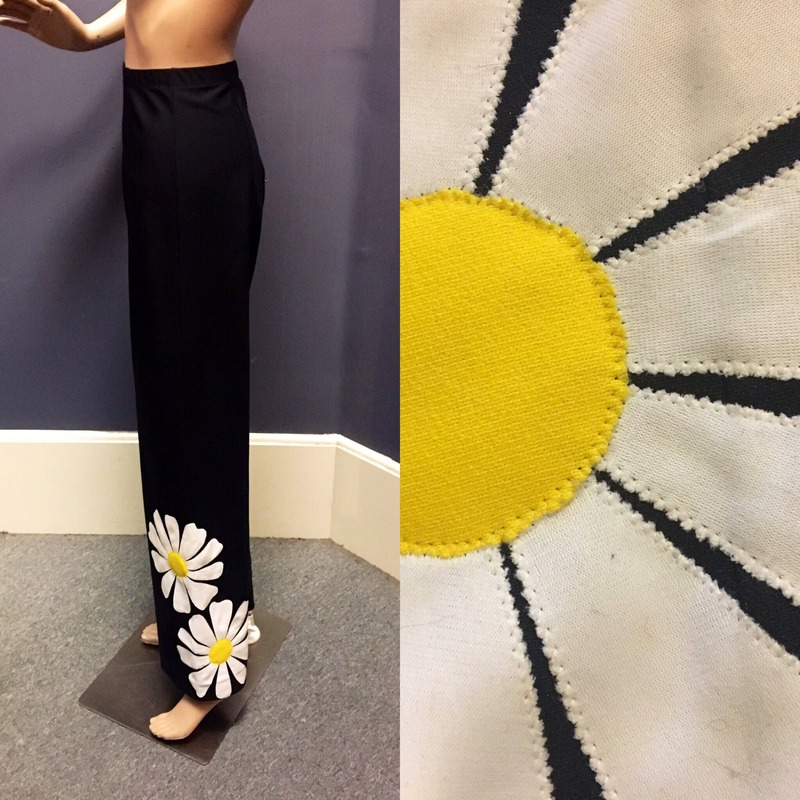 This pair of stretch pants is by DeWeese Design Swim and Fun Fashions, Los Angeles, CA. 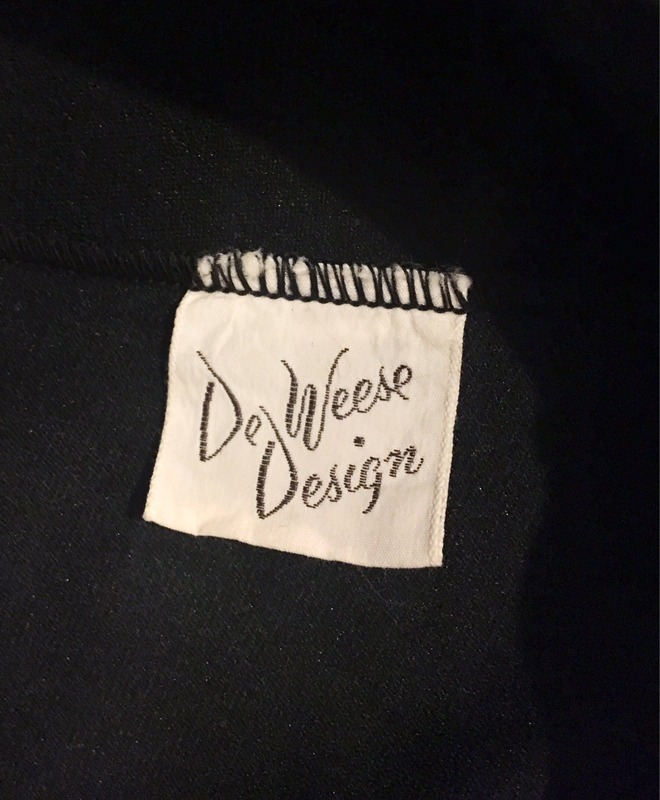 If you Google "DeWeese" and "Daisy" you might find the matching bathing suit and/or top." This pair of pants are in EXCELLENT condition. I see no holes, tears, stains or fading. It's some type of nylon, polyester. A little thicker then you might think, but not too much! 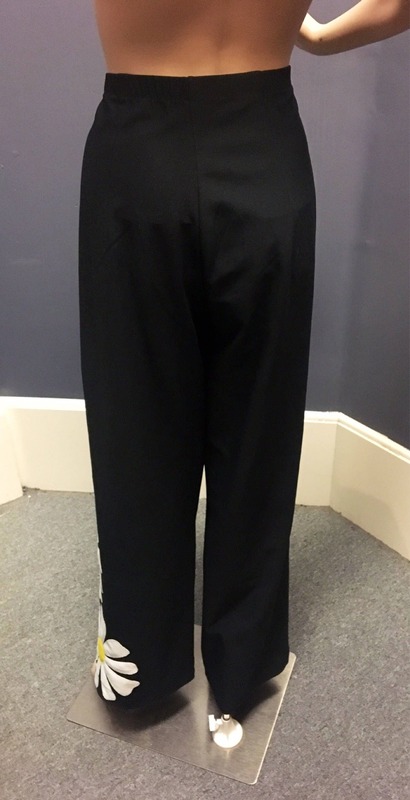 It has a banded waist and side seams. 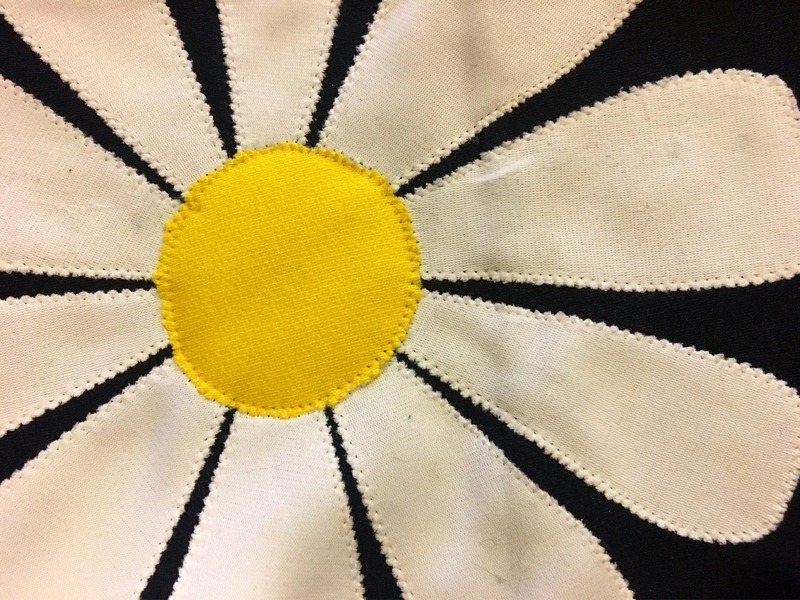 The daisies are sewn on. 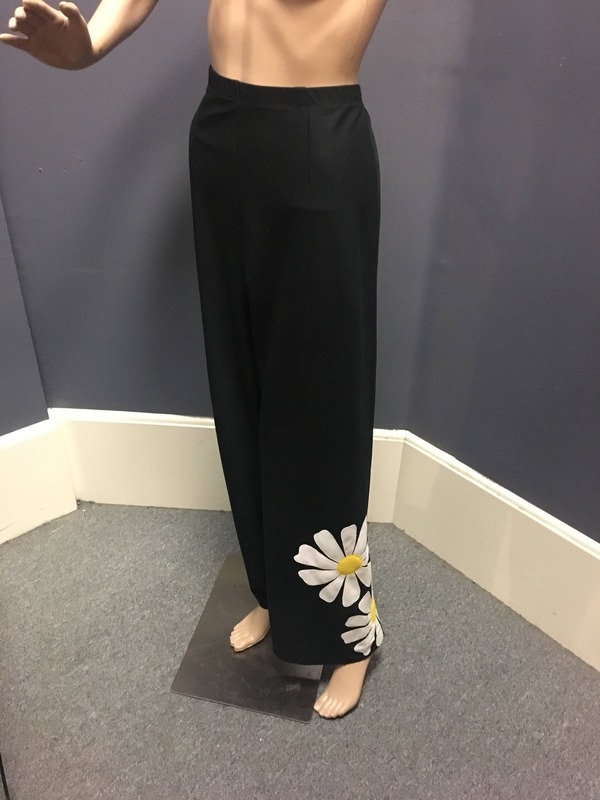 The daisies are on one leg only.